The latest major PS4 Firmware update is out of beta and available to download to everyone. This new update continues to improve the system software by allowing gamers to customise their friends list, easily manage family member accounts, and makes further changes to Notifications, including colour customisation. You can now add users of your PS4 as family members. This makes it easy to manage your child’s account information and to restrict PS4 features. To add family members, select (Settings) > [Parental Controls/Family Management]. As the family manager, you can set up your family. Up to seven family members (including you) can be in your family and use online features. Multiple adults can be in your family. The family manager can make other adults in the family parents or guardians. The family manager and family members who are parents or guardians can adjust parental controls for the children in your family. You can configure parental control settings for each child. 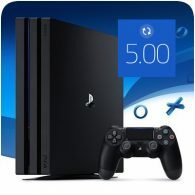 Using parental controls, you can restrict use of online features and communication with other players, set restrictions for games, restrict use of the Internet browser and set spending limits for PlayStation Store. You can configure parental controls at any time from your PC or smartphone. You can now follow anyone, not just verified accounts. Select (Follow) on a person’s profile screen and their activities and broadcasts will appear in [What’s New]. You automatically follow your Friends, but you have the option to unfollow them. Recommendations for who to follow are now offered based on the games you play. Select (Friends) > (Follow). You can now choose who can follow you and who can see your follow lists. Select (Settings) > [Account Management] > [Privacy Settings] and then configure each setting. (Custom Lists) has been added to (Friends). Create custom lists to easily organise your Friends and choose players to send messages or game invitations to. For certain broadcasts, (Communities) now appears on the (Live from PlayStation) viewing screen. To access the broadcaster’s community, select (Communities). You can now view (Notifications) on the quick menu. When broadcasting PlayStation VR gameplay, you can now see spectator comments on your VR headset screen. You can now receive music that has been shared with you as a message. Select the message to play the music. Messages containing a URL now display a preview. You can now select [Leave This Party] to leave the party. You can now see albums and playlists for songs playing in Spotify. A clock has been added. You can now disable pop-up notifications during video playback. You can now choose the colour of pop-up notifications. You can now choose to show or hide message details in notifications. You can now choose to broadcast in 1080p (60 fps) when using Twitch on your PlayStation 4 Pro. You can now enjoy Blu-ray Disc™ and DVD content in virtual surround sound when you connect headphones to PlayStation VR.